** This site contains affiliate links. If you decide to make a purchase, I will receive a small commission after you have clicked on my link. Fall is such a wonderful time of year. The leaves on the trees become a mixture of beautiful bright colors. The air smells so fresh and crisp. Hot weather is moving away making it the perfect time to enjoy some hot beverages. Food can also be much more enjoyable when your surroundings are cool. Fall is definitely my favorite season. 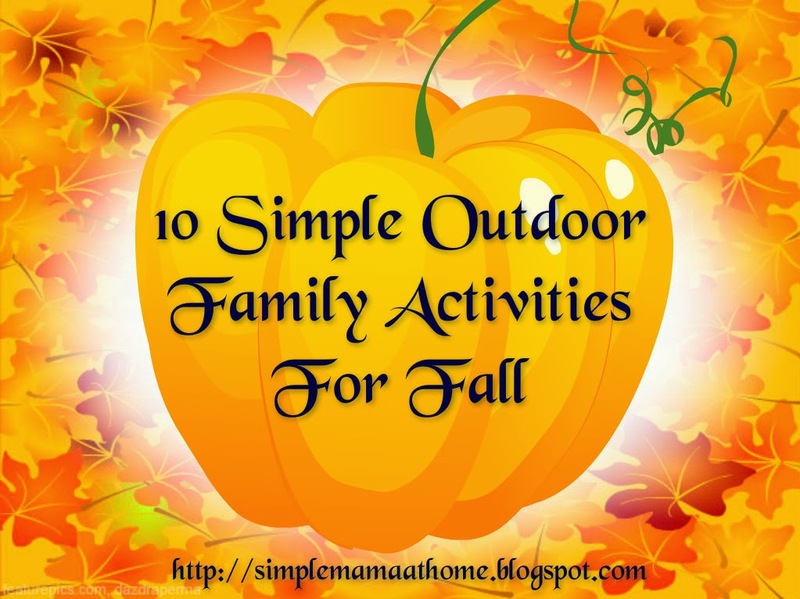 There are many family friendly activities to do outside during this time of year. None of them require much spending which is a bonus. Here are some of our favorites. 1. Go on a nature walk to a place not yet visited. Bring along a bag for collectible items only found during fall season such as colored leaves and pine cones. These will come in handy for crafting. 2. Visit a pumpkin patch. Have your children keep an eye out for unique looking pumpkins of various shapes, sizes, and shades of orange. Let them take photos of their discoveries. 3. Build a campfire. Now that the weather has cooled enjoy some warmth next to a fire. Tell stories,roast wieners and enjoy some yummy smore's. 4. Visit a local orchard where you can pick apples and maybe even go on a hayride. 5. Have a scavenger hunt. Include fall themed items such as colored leaves, acorns, pine cones, rocks, birds nests, and so on. 6. Rake up leaves together. Have a contest for the one who stuffs the most bags. Winner can choose a special fall time dessert to make such as pumpkin pie. 7. Jump into a pile of leaves. This is great fun for all ages. 8. Go for a hike in a wooden area. Keep a lookout for wildlife collecting food for the winter. Also watch for birds that are in the process of migrating. 9. Stuff a scarecrow in your yard. Use an old shirt and overalls and stuff them with leaves or straw hay. Add a pumpkin that you have finished with for the head. Decorate with more leaves or straw hay. 10. Make a bird feeder. Round up some pine cones. Add a layer of peanut butter to the pine cones. Then have your children roll them in birdseed. Hang the pine cones outside the window and watch the birds. Help your child to identify the different birds that are feeding. Have fun and take photos. Develop your photos and add them to a scrapbook. What are your favorite outdoor activities during fall? Lots of GREAT ideas here!!! We did a corn maze last weekend and had a blast. These are all great ideas! This Sunday we're going to a fall festival/pumpkin patch. I can't wait! We have done many of these. I love fall activities. I will have to add some of your list to my things to do. This is a great list of ideas! We love to go apple picking. The best things in life really are free. I think we often forget that...thanks for the reminder! great lists. My youngest son, told me few days ago that at school he was collecting leaves and put it in his wagon car ^_^ He was so happy and proud. I think we're going to stuff a scarecrow man this weekend. We've certainly got enough leaves fallen to do it! Doing a campfire and roast marshmallows, and visiting a pumpkin patch is what we want to do soon. I can't wait to see all trees changing colors for fall. Those are amazing ideas for the fall! My favourite part is building campfire and roasting some yummy marshmallows! great ideas. i love going for walks in the fall and seeing the leaves change color. 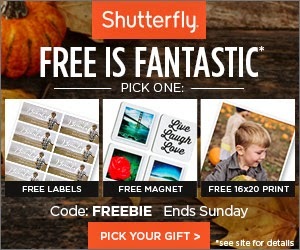 These are really cute fall ideas! I wish we had fall here. My son has never actually experienced one. I like going to the apple farms and festivals in the autumn. They have one going on this weekend, but it's kinda chilly. I'd like to still go though. Great ideas! Your idea to build a camp fire, reminded me that I shall use our outdoor fireplace this fall/winter. I live in the South and our cooler weather hasn't arrived yet, but I am beyond excited to use our outdoor fireplace this season! These are all great ideas! We usually visit a pumpkin patch and trick or treat and carve pumpkins! Thanks for the ideas! #1!! We are planning on doing that sooon! I can't wait! I love fall! Great ideas! Have to get some of these activities in before it gets too cold for the season.